Prominent & Leading Manufacturer from Pune, we offer bronze labels. 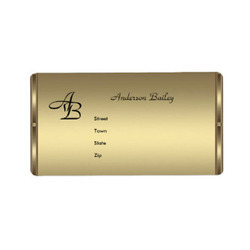 We are the largest manufacturers and exporters of Bronze Labels across the globe. The material due to its shining yellow classy appearance still widely used in many industries. The process of making labels in BRASS involves Chemical etching of the material and then providing required finishes such as Mirror Buffed, Matt, Brush finish etc. The Etched images are filled with durable Automotive or Epoxy Paints for the everlasting effect. Again the durability and withstand level to the harshest condition is the key of our product. We invariably coat the material with clear lacquer for everlasting shining. 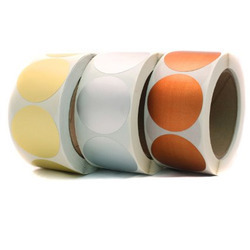 We offer a wide array of optimum quality Bronze Labels to our esteemed customers across the globe. These products are available at standard market prices without compromising on the quality. The offered range is manufactured from the finest quality bronze that is procured from well known vendors. Furthermore, our products are fully tested by a team of experts before being dispatched to our valuable customers. Looking for Bronze Labels ?